Last December I participated in Ali Edward's Daily December. This week, she's suggested that we participate in documenting "A Week In The Life", from April 19-25th. Truthfully, my life is terribly mundane, aside from a few adventures I'm lucky enough to enjoy from time to time. But day to day...pretty much...nothingness. But I think that's what she's trying to let us all be aware of, that even what we think is merely boring day to day activities, they are important in their own way. So I decided to participate in her challenge. I'll try to refrain from documenting the blahdeblah that's completely insignificant, like say, walking from the office to the kitchen to the living room. to grab a snack then plop down in front of the tv. but I might include in-progress crafting projects, what i made for dinner, who I hung out with and my favorite tv shows. Yes. Terribly mundane. But it's just a week. So prepare yourselves to be bored silly. So to start the week off...drum roll please... I finished last month's playgroup project that Kristina hosts. These are some of my fav cards we've created from her class. 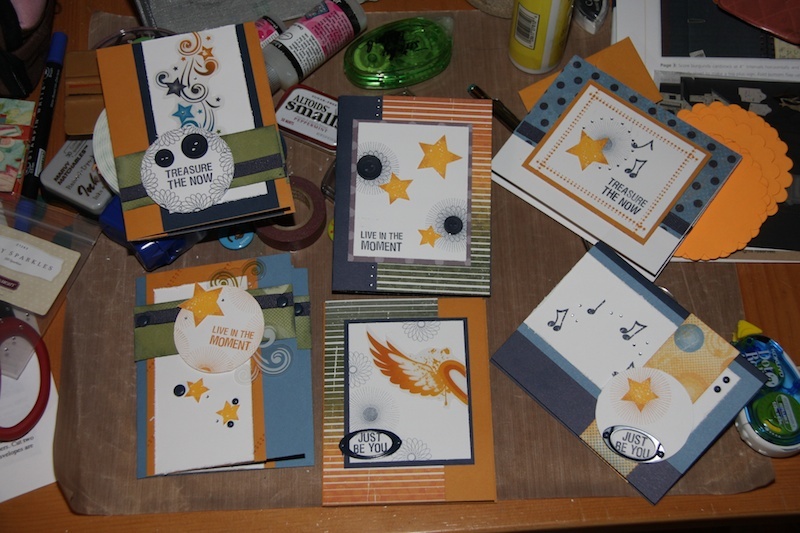 I try to get together with her once a month and we create 6 different cards, 2 of each. I'm getting together with her again on Wednesday. 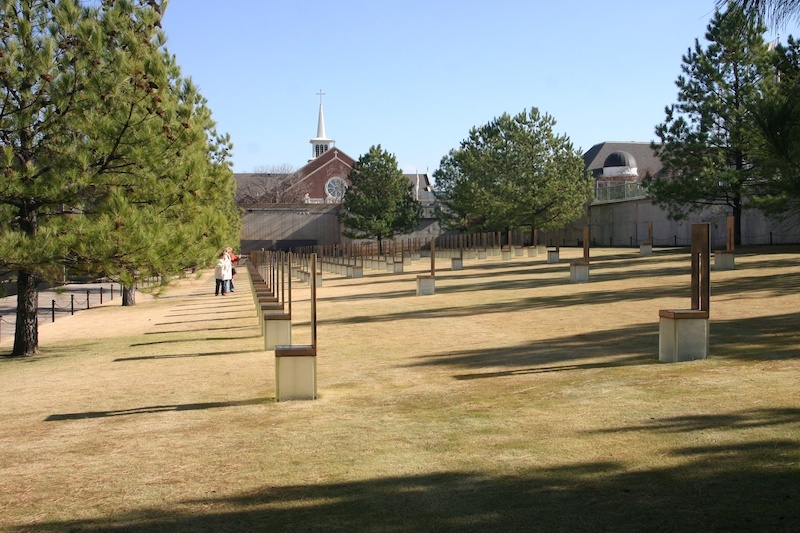 On a more serious note, today was the 15th anniversary of the Oklahoma City bombing. These chairs on this lawn is the site of the Alfred P. Murrah Federal Building in downtown Oklahoma City. There are a total of 168 chairs, each chair representing a life that was lost on that infamous day. to be honest, i love the "mundane life" sort of posts. it makes me feel connected to someone to know what they made today, or ate for lunch. and i think it's kind of inspirational to see the small achievments of our lives, even if they are only "i made dinner tonight!". those chairs are pretty amazing, aren't they? unnerving to see it laid out like that.